Dr. Xavier Amador, Founder of the LEAP INSTITUTE and co-Founder of the LEAP FOUNDATION, is an internationally renowned clinical psychologist and leader in his field. His books, authoritative clinical research, worldwide speaking tours and extensive work in schizophrenia, bipolar and other disorders have been translated into 30 languages. Dr. Amador is the author of the International Best Seller, “I am Not Sick, I Don’t Need Help!” He is also a family caregiver of two close relatives with schizophrenia and another with bipolar disorder. From 1989 to 2002, Dr. Amador was on the medical school faculty at Columbia University College of Physicians and Surgeons. 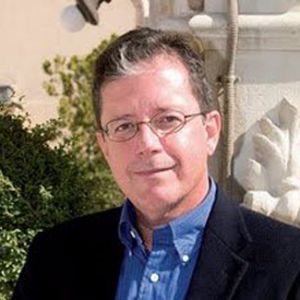 In 2002 Dr. Amador resigned a tenured faculty position at Columbia University and as Director of Psychology at the New York State Psychiatric Institute to honor his commitment to families that asked him to help educate mental health practitioners, family caregivers, and others about anosognosia and science-based practices proven to help persons with serious mental illness. Dr. Amador was not only keeping a promise he made but also responding to his frustration as a clinical researcher who saw much needed knowledge stranded in professional journals rather than in the hands of clinicians, families, law enforcement, judges and legislators attempting to address the needs of persons with severe and persistent mental illness. To honor his commitment, and pursue his dream, he accepted a position as Director, Center for Research Education and Practice at the National Alliance on Mental Illness (NAMI) where he founded NAMI’s Scientific Council, nationally launched Family to Family, Peer to Peer and In Our Own Voices as well as NAMI’s national initiative on Assertive Community Treatment (ACT). After his tenure on staff, during which he was also Deputy Executive Director of NAMI, he resigned to serve on the Board of Directors at NAMI. Visiting Professor of Psychology at the State University of New York, over the course of two decades he was Professor of Psychiatry and Clinical Psychology at Columbia University and Director of Psychology at the New York State Psychiatric Institute. He served as co-chair of the Schizophrenia section of the DSM-IV-TR. Author of more than 120 peer-reviewed articles and 8 books including “I am Not Sick, I Don’t Need Help!”. Written for both professional and lay readers; he shares research and practical advice on how to help engage patients with schizophrenia and bipolar disorder in treatment, and shares his personal experience with his brother who suffered from schizophrenia. His expertise has been called upon by government, industry and the broadcast and print media where he appears as a frequent expert for CNN, CNN International, ABC News, NBC News, Fox News Channel, CBS 60 Minutes, New York Times, Washington Post, USA Today, Wall Street Journal and many other national and international news outlets. Dr. Amador is also the Director of the LEAP® Institute which was founded to provide education and training on anosognosia, the problem of poor adherence and provide practical communication tools (LEAP® communication program) designed to build bridges and partnerships with persons who hold views of their illness and needs that are opposite to that of their loved ones, doctors, and sometimes even law enforcement. LEAP® Institute has trained tens of thousands of clinicians, family caregivers, law enforcement, justice officials and legislators worldwide. LEAP® Institute is separate and distinct from LEAP FOUNDATION which is a nonprofit 501(c)(3).